The name you trust in video-centric surveillance solutions. 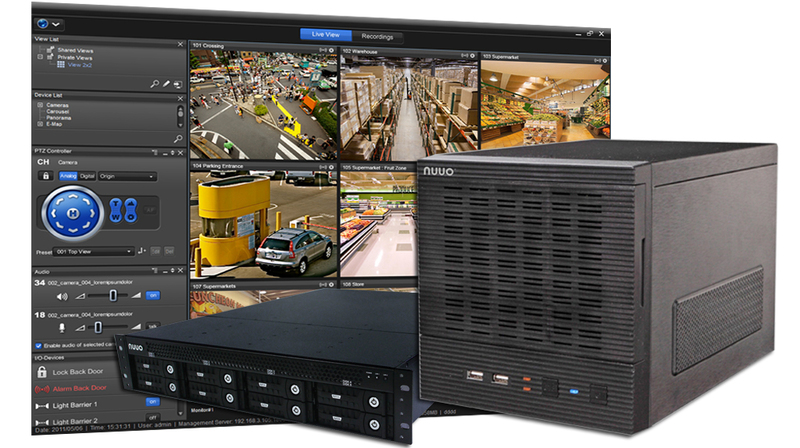 Founded in 2004, NUUO Inc. NUUO’s Video Management System (VMS) and Network Video Recording (NVR) solution offers comprehensive recording, monitoring, and seamless 3rd party solution integration for IP and analog cameras. NUUO is committed to provide powerful video-centric solution to its clients. With over 100,000 global installations, NUUO has a solution in place for every vertical industry including banking, cash management, retail, education, industrial, transportation, hospitality, government and more. NUUO is headquartered in Taiwan with a US branch office and other field representatives in South Africa, India, and UK, NUUO offers reliable support for all global regions. PT Konexindo Unitama is the a Distributor for NUUO products in Indonesia. Please let PT. Konexindo Unitama assist you with your Intelligent Video Surveillance (iVS).